Home_old - Holy and Life Giving Cross, Orthodox Christian Parish, Lancaster, U.K. 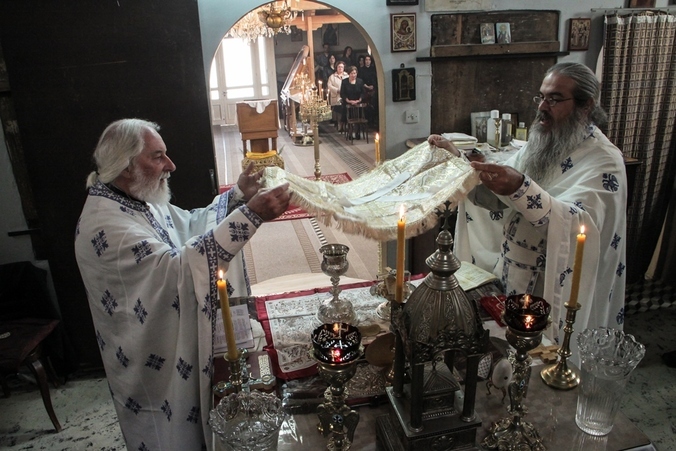 The Orthodox Christian Parish of the Holy and Life ­Giving Cross at Lancaster (United Kingdom) belongs to the Antiochian Orthodox Christian Archdiocese of the British Isles and Ireland. The Holy Liturgy of St. John Chrysostom is served every Sunday at 10:00 a.m. at the Chaplaincy Centre of Lancaster University (find us). Other Orthodox services are being held according to the Orthodox calendar. Please, contact us for more information on the exact time and date of the services. We are a relatively small parish led by Fr. Jonathan Hemmings, but with faithful from more than half a dozen nationalities! The Parish serves the liturgical and pastoral needs of Orthodox Christians studying and teaching at Lancaster University. We enjoy our fellowship, having meals together and taking part in pilgrimages to Orthodox monasteries, churches, ancient Christian sites and other worship places (photos). 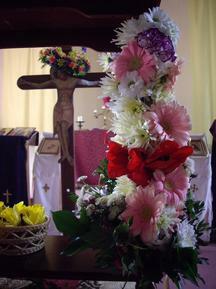 We produce a newsletter each month with our news and spiritual food for thought. We also work in translations, and have translated St. Lioba's life from English to Greek and St. Joachim's life from Greek to English (more information here). Please also see the holy tasks page with details about our work, and our treasures page with information on the icons and holy relics of St. Nicholas Planas and St. Joachim of Ithaca, that our parish is blessed to have. After 20 years using borrowed premises our Orthodox Community of the Holy and Life Giving Cross is looking for a suitable building for a Temple that will serve the needs of the Orthodox Christians in the Lancaster area. To this end we are making an appeal to help raise funds for a Church either for us to buy or rent on a permanent basis. Apart from your much needed prayers, you can find information on how to contribute to our fund raiser here. Our monthly newsletter is out. Read the February Stavronian here ! 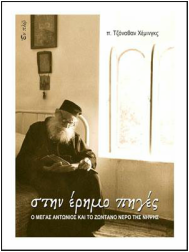 NEW : We are very pleased that Εν Πλω published Fr. Jonathan's "Fountains in the Desert" book in Greek. We are thankful to Kleio Kehagia for the translation of the book from English to Greek. If you are in Greece please visit Εν Πλω's bookstores to buy the book or contact us for orders. Part of the proceedings from the book will help our Parish to find a permanent Church for worship. Also available is the story of Fr. Michael Harper's 48 year long ministry "Visited by God" told by Kh Jeanne Harper. The foreword to the book is written by Prof. David Frost, Principal of the Institute for Orthodox Christian Studies, Cambridge. Fr.Jonathan wrote the last chapter on Fr. Michael's contribution to the formation of the Antiochian Deanery. Available priced £7.50 (plus postage and packaging). in the Church of St. Nicholas in Ithaka, Greece. "Behold, how good and how pleasant it is for brethren to dwell together in unity! for there the Lord commanded the blessing, even life for evermore."